AMMONNEWS - Lebanon’s electricity company known as “Electricite du Liban” announced Thursday that it will take “disciplinary measures” against a staff member who was breeding chicken at the company’s Beirut headquarters, after the incident went viral on social media amid mounting criticism of the authority which is riddled with corruption. The statement comes days after pictures of chicken cages at EDL offices went viral on social media, with many Lebanese making sarcastic jokes out of this miserable reality where electricity hardly comes. Many took to tweeter to vent their dissatisfaction, while some made fun of the situation. Lebanese media reported that a video had circulated on social media showing wooden cages and electrical egg incubators on the third basement floor near the parking area of EDL’s main building. The cages contined of chickens, quail chicks and eggs. 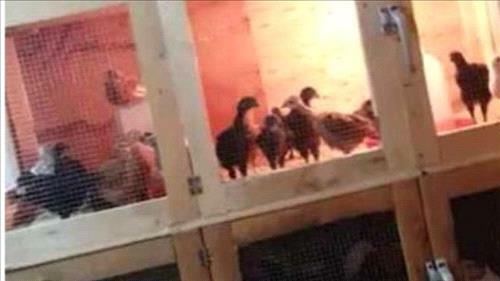 A group of inspectors from the Central Inspection Department later discovered the coop. The birds, whose noise could be heard from the building’s entrance, indeed were benefiting from 24-hour electricity, light, warmth, and appropriate nutrition, according to a report by local news channel MTV.